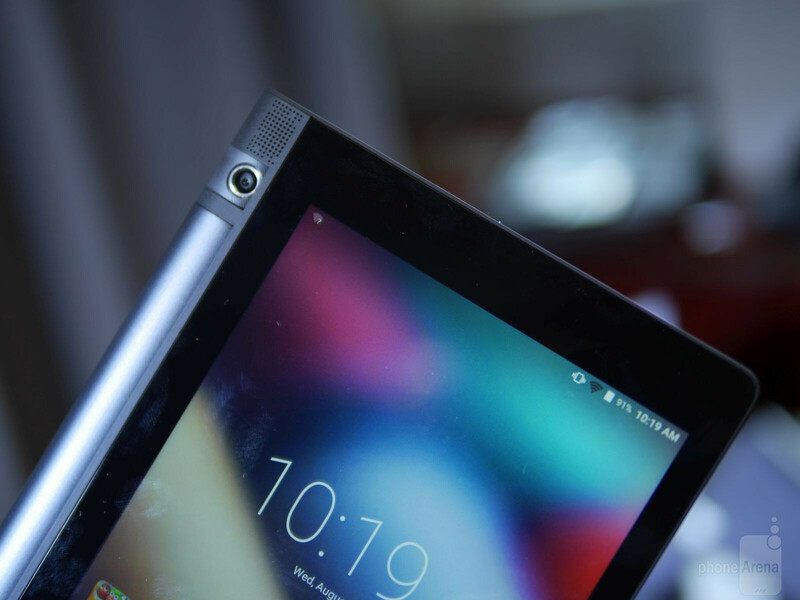 Very few Android tablets nowadays receive the yearly refresh treatment, but Lenovo’s YOGA tablet series isn’t about to change its ways. 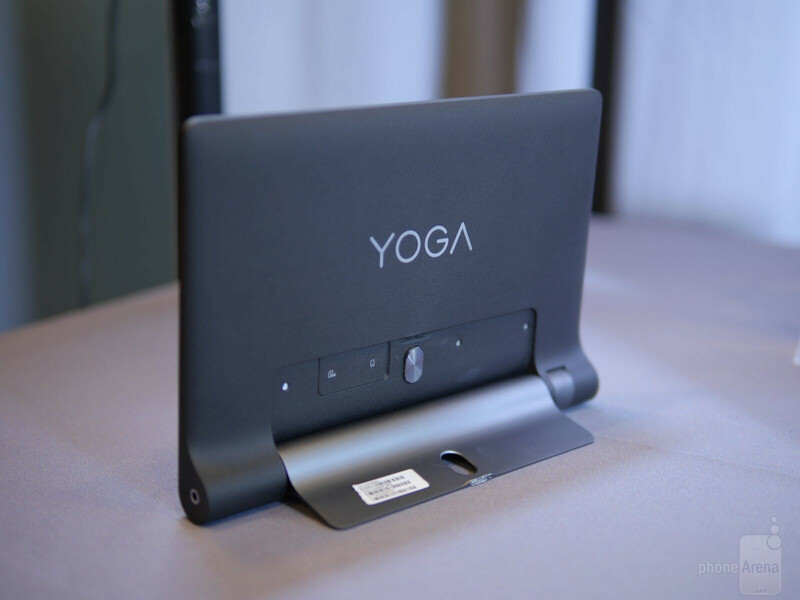 We’re now entering the 3rd generation line of YOGA tablets, you know, the ones with yoga like abilities that allow them to stretch in all sorts of configurations. 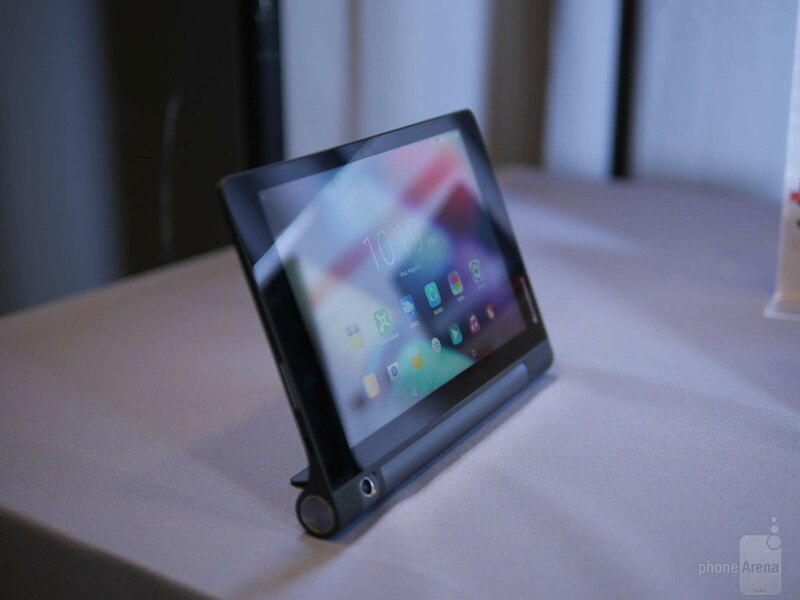 Well, Lenovo took the wraps off its latest bunch, but in this article, we’re going to briefing talk about the miniscule one out of the bunch – the Lenovo YOGA Tab 3 8-inch. 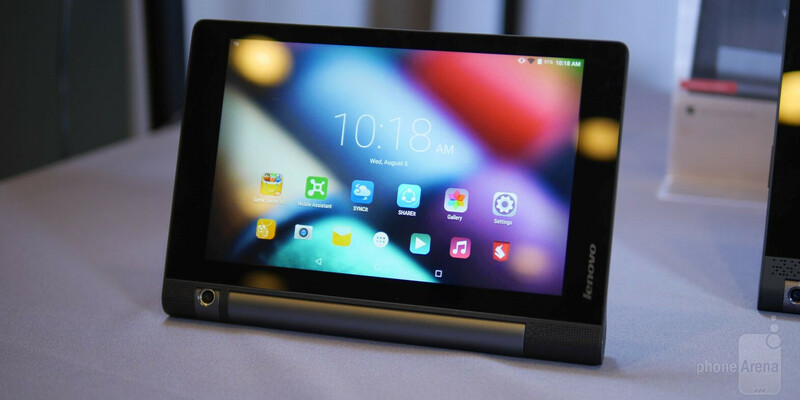 Continuing to employ the same distinctive design that makes the series recognizable in the tablet space, one that leverages an adjustable hinge, the 8-inch version of the Lenovo YOGA Tab 3 is the most compact of the bunch. This makes it great for reading something on its screen, thanks to how the cylindrical hinge offers an ergonomic feel when it’s held from there. For the most part, the design is unchanged with the exception of how the casing now exhibits a hint of texture – giving it a grippier feel, which also helps to keep it clean looking and smudge-free. When you’re attached with such an inexpensive price point, you can only go so far with the display. Rightfully so, that’s what we faced here looking at its 8-inch 800 x 1280. While it’s nowhere close to be class-leading in the resolution category, it’s still effective enough for the simple things – such as browsing the web or reading an e-book. Colors exhibit a punchy, over-saturated look, but that certainly helps to give the screen its iridescent glow. Yes, it’s boring on the specs sheet, but don’t let that take away from its semi-decent attractive look. Finally, Lenovo decided to bring back the apps panel with its custom interface running on top of Android 5.0 Lollipop. This is a minor change that we appreciate, because the homescreen doesn’t look as disorganized as before. Beyond that, Lenovo’s tinkering is pretty subtle, which is a good thing partly because it’s a simple and straightforward experience that doesn’t try to overwhelm us with a bunch of features and tools. At the very least, we get basic Android functionality with the experience. For a budget offering, there’s nothing too astounding with the processing hardware in tow with the Lenovo YOGA Tab 3 8-inch. Specifically, it’s paired with a quad-core 1.3GHz Qualcomm APQ8009 chipset with 1GB of RAM. That’s undoubtedly nothing worth getting out of bed in the morning at a moment’s notice, but at the very least while spending a short time with the tablet, it’s effective to handle most basic things – just don’t have high expectations with graphics processing or more demanding operations. In addition to the 16GB of internal storage on board, that capacity can be supplemented using the available microSD card slot on its back side. One of the more notable changes to its design pertains to the camera, which is now a single one housed in the cylindrical hinge – whereas before, we had separate front and rear cameras. Instead, the rotatable 8-megapixel camera allows it to be used for all sorts of occasions. From scenery shots to selfies, the rotating nature of the camera gives it some versatility, much like its kickstand. Now in its 3rd generation, the Lenovo YOGA tablet series still stays true to its budget offering. Attached with a price point of $169, there’s no arguing about its affordability in comparison to the $500 cost stickered to some of the notable tablets in the space. Sure, the specs sheet reflects its cost, which doesn’t allow it to compete against some of the heavy hitters in the space, but in all seriousness, the pricing is something that consumers will find attractive. You won’t be spending a fortune on a tablet, that’s for sure. However, you’ll really need to do some meticulous thinking on whether to go with this one, or pay a little more to get its full-sized sibling.